The website for the non-profit Ouray Ice Park has many components -- information for visitors, photos to highlight the park's beauty, maps of the climbing areas, Twitter feeds for conditions updates, donate and membership links on every page, forms for users to sign up to volunteer or register - the list goes on. The Ice Park's staff have the tools to make content and image changes to the site and the project will continue to evolve as the Ice Park changes... such is the beauty of a Squarespace website! Cohesive marketing materials show clients and customers that you have your act together. 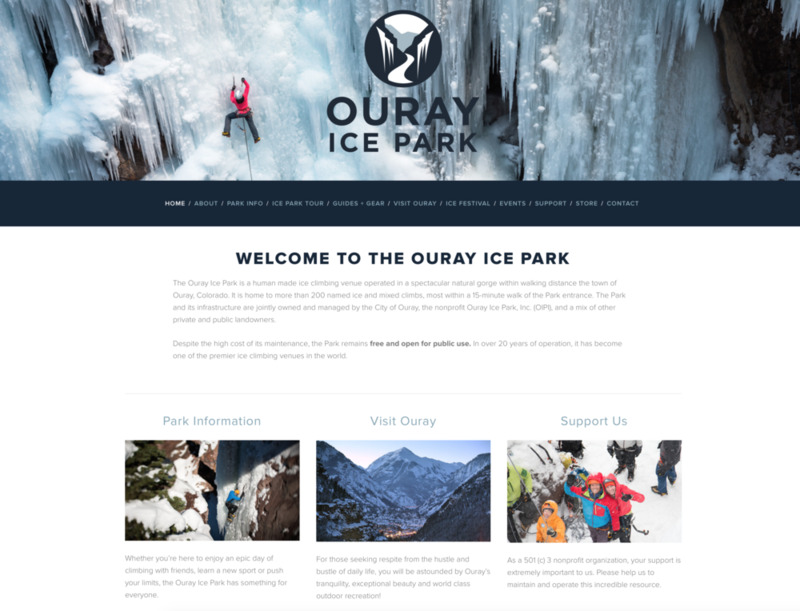 This Mail Chimp newsletter template was created in collaboration with the Ouray Ice Park Website and is set up for Ice Park Staff to send out a campaign at any time.